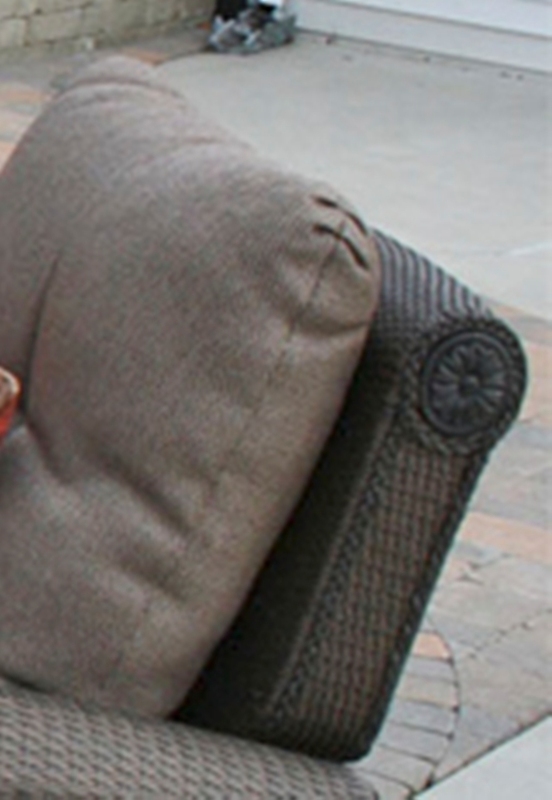 The Giovanna all weather wicker deep seating furniture collection is brimming with pleasant surprises. 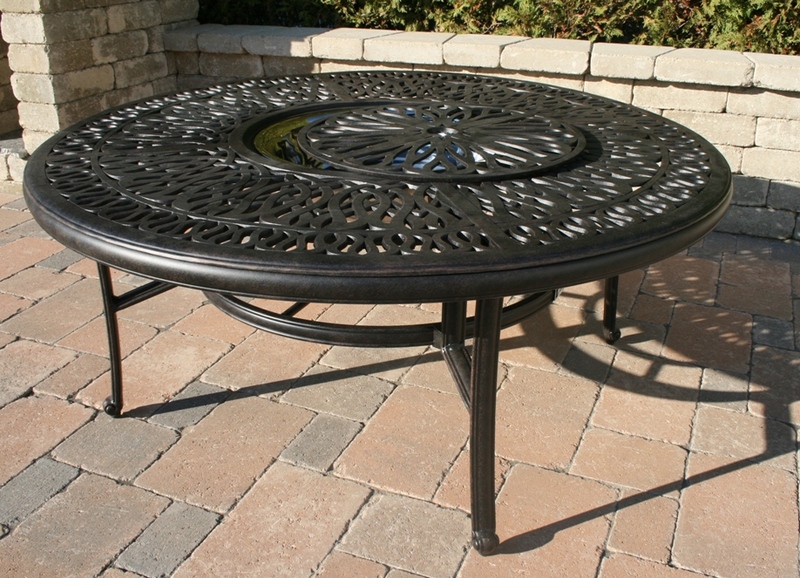 Keeping cocktails chilled for your closest friends is a breeze with the fully welded cast aluminum drink table, a unique addition to any outdoor patio. With a blend of modernity and old-world artistry this outdoor set will not succumb to the effects of sun, salt water, mold, or splintering. The golden bronze color is superb in its styling and will dazzle in the outdoor sun. The attention to detail is obvious with its cast aluminum accents and french braided trim. The super high back seating allows you to sit back and relax in pure luxury. Polyethylene fiber is complexly woven over non-corroding double aluminum framing, and additional under-seat support prevents sagging. 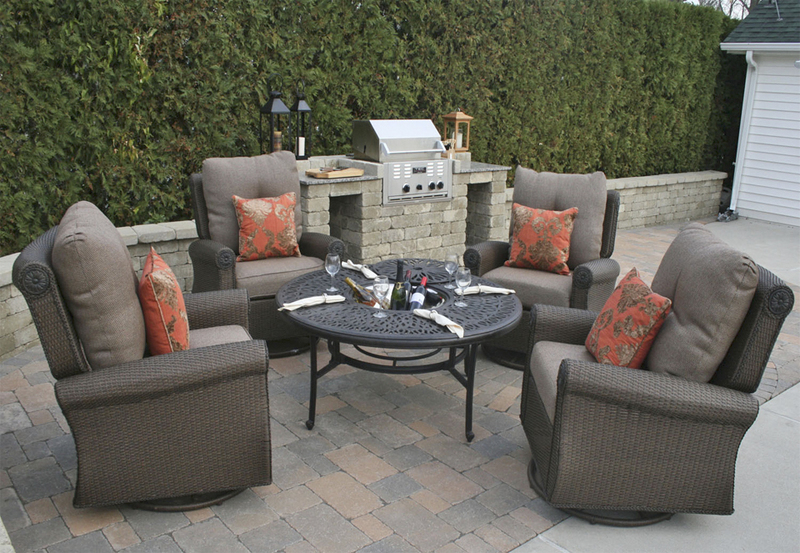 The cushions are constructed with superior quality, high density weather-proof outdoor fabric. This extraordinary wicker patio set is indoor style for outdoor living. The overstuffed seat and back cushions ensure your patio furniture lounge time is at a premium. The swivel, rocking club chairs only add to the opulence of this wicker seating set. We put the best of both worlds together, cast aluminum and polyethylene resin wicker to give you the ultimate in outdoor luxury.